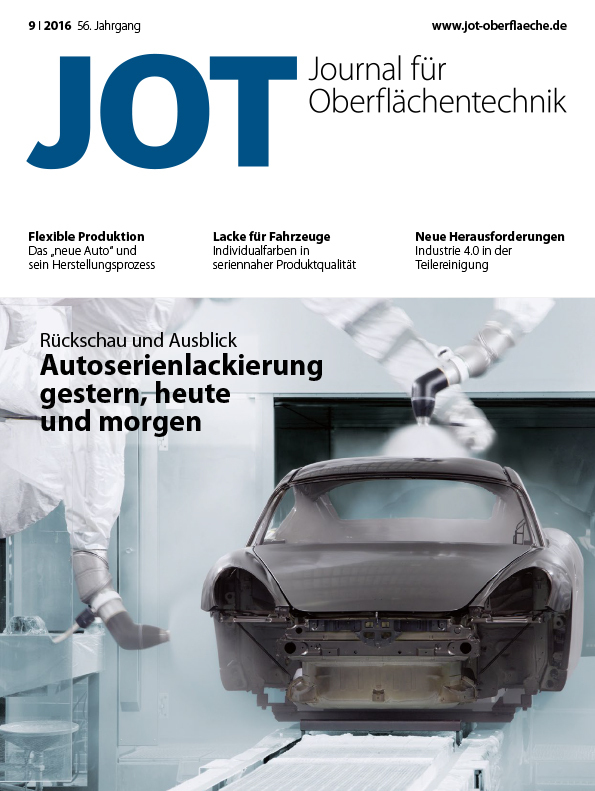 JOT reports in a hands-on and user-oriented manner about all surface technology-related subjects: Wet painting, powder coating, cleaning/pre-treating, stripping, coil coating, galvanising, thin layers, enamelling, blasting, grinding, environmental technology, paints/chemicals, measuring/testing and conveying systems. Please choose... Trial subscription! Annual subscription! Student subscription!